In recent times, the architectural industry has seen growing popularity of metal usage for external building surfaces. This is mainly to do with their high strength and longevity properties. Though metals can add to the life expectancy and aesthetics of the structures, their use can significantly hinder the use of the building by disabled people because of the lack of good contrast with the background. A partially sighted person would find it difficult to move around if the colour scheme of a buildings are not distin­gu­is­hable . 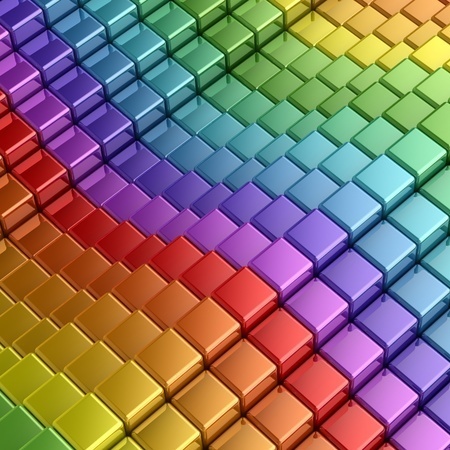 The main feature of a surface, which appears to be strongly correlated with the ability of partially sighted people to identify differences in colour, is the amount of light reflected by the surfaces. Light Reflectance Value (LRV) is the total quantity of visible light reflected by a surface at all wavelengths and directions when illuminated by a light source. It is a barometer used to measure visual contrast in most building construc­tions. The intensity and the difference in hue of the colours can provide adequate contrast for people with good vision. However, this is not the same for partially sighted people. Visually impaired people will be confused by reflections and glare from large area of shiny surfaces. BS Stainless have collaborated with one of the largest paint companies in the UK to develop ColorMet, our PVDF paint system available in a wide range of colours. The paint can be applied to a range of base metals for architectural applications to provide appropriate colour scheme to assist the visually impaired. Wide range of colours also add to the aesthetic properties of any structure. PVDF paint system is one of the most stable paint system known to man. It is also extremely resistant to chemical and photochemical attack, this allows ColourMet to offers exceptional weather protection and improvement in the life expectancy of the metal substrate. Colormet can withstand 750 hours in the salt spray test without showing any signs of pitting corrosion compared to only 275 hours for Stainless Steel 316. It is approved for the use on architectural buildings for over 40 years [1-3]. For more details on ColorMet, its properties and the range of colours, please contact us at, info@bsstainless.com. 1. Institution, B.S., Design of buildings and their approaches to meet the needs of disabled people – Code of practice in BS 8300:­2009+­A1:­2010. 2009, BSI. 2. Institution, B.S., Schedule of paint colours for building purposes in BS 4800:2011. 2011, BSI. 3. Wood, K., et al., 70% PVDF coatings for highly weatherable architectural coatings. Polymer,(nd), 2005.